Explicit The Pull Bag - EP 145 - Jem and the Holograms #19-23 ENTER THE STINGERS! In Episode 145 JEM JAMMIN' JULY 2017 kicks off as Mike, Aimee, and Nicole finally get back to being Truly Outrageous! We talk about issues 19-23 of the IDW ongoing Jem series! This is the Stingers arc, and you'll find it can be a RIOT! 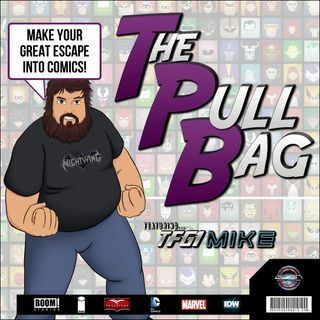 So Make your great escape into comics, and jump inside The Pull Bag today!